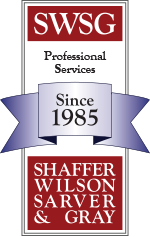 Incorporated in 1985, Shaffer, Wilson, Sarver & Gray, P.C. (SWSG) is an award winning multi-disciplined architectural, engineering and construction management firm offering a diverse range of services to both public and private sector clients. Regionally, SWSG provides traditional architectural and engineering services to local governments, other design professionals, and building developers. Throughout the United States and Canada, SWSG is also a leader in the design and construction of complex mission critical facilities. These facilities include telephone central offices, switch centers, data centers, network operations and control centers, earth stations, and cell sites. 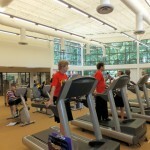 We specialize in turn-key project delivery methods including construction management and design-build. Nationally, our structural division provides cold-form steel and fall protection designs for some of the largest construction projects and buildings in all 50 states including the Washington Nationals baseball stadium, the Marine Corps Museum, Fort Belvoir Hospital, New Orleans Veterans Hospital, the new Camp Pendleton Hospital, and Hickam Air Force Base. SWSG also has an excellent reputation for providing analysis and design solutions to restore and/or rehabilitate historic properties in the surrounding communities that are code compliant and meet the Secretary of the Interior Standards. Our design team is located in one studio which enhances our ability to efficiently integrate our services through all stages of each project. SWSG provides its services with a highly qualified and practiced staff of registered architects, professional engineers and construction managers. SWSG’s architects are known for their ability to provide intelligent cost effective layouts that maximize the utility of space and interior designs that enhance the environment and building performance. Our structural, mechanical and electrical engineers are skilled technicians of their disciplines and bring dependable, detailed and efficient design solutions that utilize sustainable and energy conserving strategies. Complementing our design team, SWSG’s construction managers work closely with our clients to oversee all day-to-day construction logistics, maintain the schedule, manage the budget, close out permits, and finalize critical systems commissioning. In the past five years, SWSG’s architects, engineers and construction managers have designed and overseen the building process for more than 900 projects representing over a half billion dollars in construction. 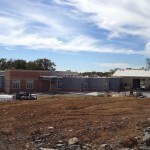 Projects vary greatly in size and scope, from simple system upgrades to renovations and additions to existing buildings or whole programs of facility improvements. Regardless of size, SWSG is committed to giving every project our highest level of service. A clear understanding of client goals and objectives are paramount to project success. Client expectations and project realities must coincide for effective execution both at the beginning of the process and throughout. Quality of the deliverable and maintaining client’s budget and schedule is of the highest priority.